Get ready everyone for the biggest sale event of the year at Lazada.com.ph. Lazada.com.ph, the Philippines’ Biggest Online Shopping Mall is holding the biggest and grandest online shopping extravaganza of the year this December 12. This will feature jaw-dropping discounts, mind-blowing deals, as well as incredible brand partnerships that will happen as early as 12:00 AM of December 12. 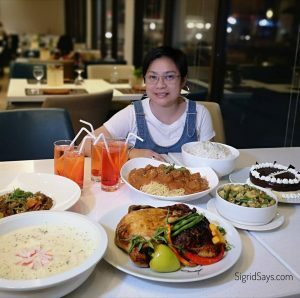 Night owls can log on to www.Lazada.com.ph/Online-Revolution in the early hours for special night promotions that will only be available between 12am and 8am. Regular shoppers who don’t want to miss sleep can take advantage of killer deals and unbeatable hourly flash sales from 8am to 11.59pm! You can find everything that you both want and need this holiday season–from mobiles, tablets, gadgets and appliances to fashion, household goods, toys, and sports equipment. 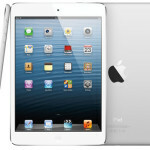 You can enjoy more than 80% discount on select best-selling items. Say goodbye to traffic jams, crowded malls, long queues and the struggle to find a parking space that will get your nerves frazzled. You can shop from the comfort of your home and Lazada will conveniently bring your items to your doorstep! Lazada also offers free delivery service for orders above PhP 1,000 and cash-on-delivery payment option. Isn’t that cool? Need something for your loved ones and godchildren? Lazada has it. How about your nine-month-old nephew? 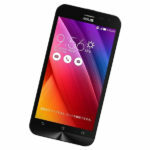 Lazada has it too! 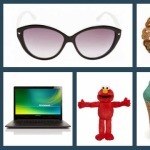 With nine (9) virtual floors of goods ranging from consumer electronics to household goods, toys, fashion and sports equipment, you’ll find everything you need on your browser or mobile app. With the flick of your finger. Sounds too good? Yes we mean it and we mean it very well. With special sales and competitive prices, Lazada promises great brands at affordable prices so you won’t break the bank this holiday season (or all-year-round). Philippines may be all sun and no snow but the newly launched in-house fashion label, LZD, offers you a colorful assortment of clothing and accessories suitable for our tropical climate. You can also surprise your loved ones with stylish gifts from UK and US high street fashion brands that are available exclusively at Lazada. 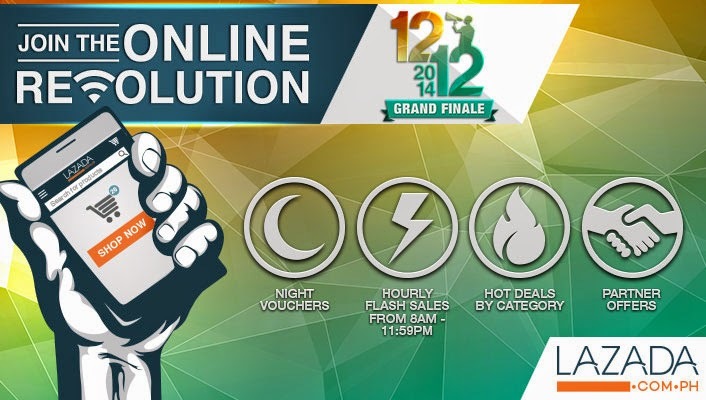 So how can you be part of the Online Revolution happening this 12.12? 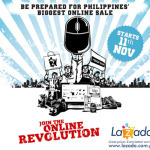 Simply log into www.lazada.com.ph/Online-Revolution to get the best deals of the year. You may also subscribe to our Facebook Fanpage at www.Facebook.com/LazadaPhilippines in order to get updated about our latest news and offerings. I wont miss this….preparing for coffee oveload..wohoooo! !